As well as being the UK's most successful picture book author, Julia Donaldson is a gifted songwriter for children. 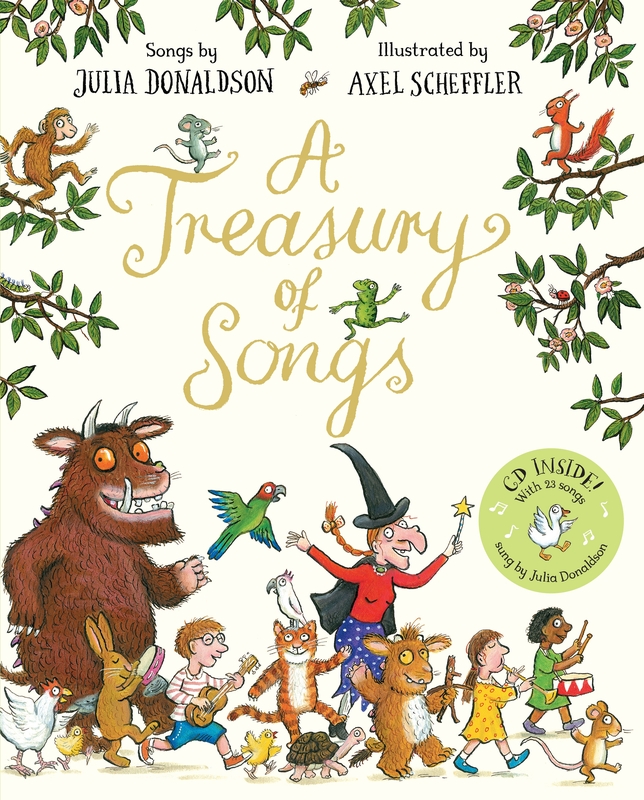 A Treasury of Songs contains over twenty of her songs, including fun-filled action rhymes, Aesop's fables, and songs based on Julia Donaldson's best-loved picture books, from Room on the Broom to The Gruffalo. This beautifully produced songbook treasury is illustrated throughout with Axel Scheffler's warm and wonderful artwork, and comes with a CD of all the songs performed by Julia herself, which will be familiar to anyone who has heard them on TV or radio or enjoyed one of Julia's live performances. With a shiny foiled jacket, luxury extra-thick paper and a foreword by the author, this is the perfect gift for all fans of Julia Donaldson and Axel Scheffler.